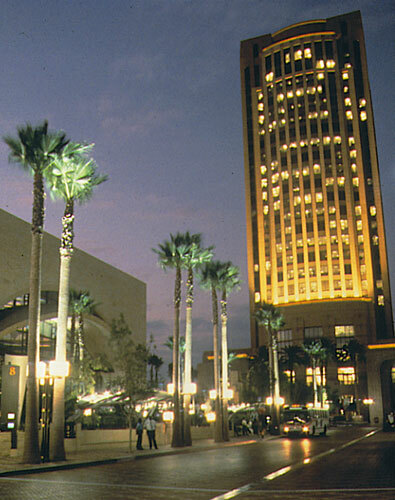 This 25-story office tower built in 1994 is Metro headquarters. Its marble-floored lobby features light fixtures and columns reminiscent of the grand architecture of Union Station. A series of major murals depicts Los Angeles circa 1870, 1910, 1950 and after 2000. Conference rooms and some offices have windows with views. Rooftop is accessible. Just outside the Gateway Headquarters Building, Patsaouras Transit (Bus) Plaza can accommodate 100 buses every hour and more than 114,000 transit passengers daily. Artwork and various design elements create a unique setting for waiting passengers. 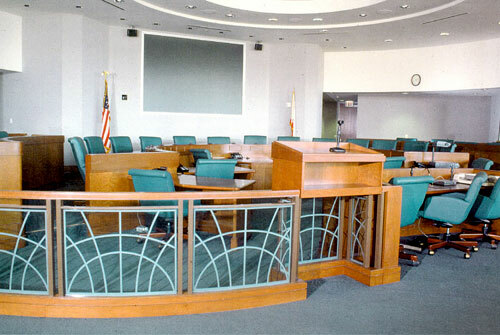 The 350-seat Board Room is the site of all Metro Board and committee meetings. The Board Room features a series of large curtained windows at the back of the room with a balcony directly outside the windows and a large rear projection screen. Below the Gateway Building is a multi-level parking structure, which is perfect for crew parking and garage shots. Just south of the Gateway building is an ideal spot for base camp set-up. This expansive area features a sweeping staircase, a waterfall and a 500-gallon fish tank. The west end of the East Portal leads to train boarding platforms and Union Station via a pedestrian tunnel walkway. The east end of the portal leads to an overly-wide pedestrian walk showcased by bridge undersurfaces and surrounded by rich landscaping and architecture. 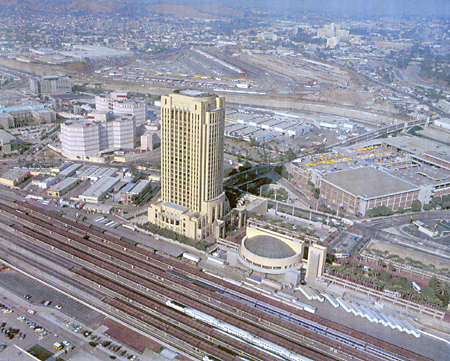 Directly south of the East Portal is an open patio area with angled concrete walls and a glass elevator, all of which is directly above a multi-level parking structure. Metro Customer Centers are dramatically enhanced with colorful public artworks created by local students under the leadership of professional artists. 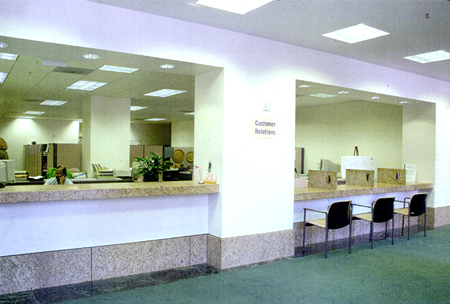 These centers allow the purchasing transit passes or picking up schedules.